Believes, lives out and teaches the faith of the Church, rooted and grounded in scripture as expressed in the creeds and for whom the Eucharist lies at the heart of his priestly life. Is respectful, understanding and will celebrate the comprehensive nature of the Church of England while maintaining a true vocation within his own personal and spiritual beliefs. Has a mission not only to enable his congregation to grow in its own life of prayer and understanding of faith but also to reach out to the local community and actively welcome and encourage others on their journey towards God. Understands that Mission can only be successful with the active involvement of the laity within the framework of clear, firm and decisive leadership. Will work collaboratively and innovatively with the many civic, secular and ecumenical organisations throughout the town, showing vision, energy and imagination. 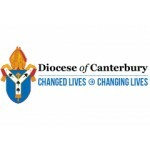 Will be expected to maintain and develop close links with Holy Trinity School attached to the church and foster and enhance their input to the life of the parish (please see the statement drawn up by the Head of the school, reference their expectations of a new incumbent at Appendix B). Understands the importance of maintaining and developing the excellent musical tradition at Holy Trinity. Work closely with the Director of Music to enhance the musical input to the liturgy and worship. Will wish to work closely with our Sunday School Leaders to encourage and extend the work with children and young people giving them the confidence to extend their role and influence within our congregation of wide-ranging ages, skills and abilities. Will have good inter-personal and communication skills and will be collaborative and open to the development of appropriate technology in pursuit of missionary objectives. Our congregation is diverse in nature and needs guidance and inspirational leadership from its Parish Priest. Our people need a loving and caring, but firm shepherd to nurture and encourage them and foster their ownership of and input to the life of their church.